For all B-Series, H-Series, and most D-Series engine applications. 1990-2001 Acura Integra (All Models), 1988-2000 Honda Civic (All Models), 1988-1991 Honda CRX (All Models), 1992-1997 Honda Delsol (All Models), 1992-2001 Honda Prelude (all models). 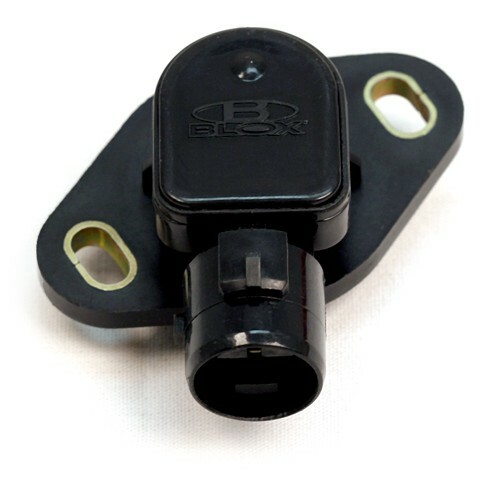 BLOX TPS sensor comes with a 5-Year Warranty and new gasket to prevent moisture from harming the internal circuitry. TPS sensors have a limited life span and over time build up resistance which in turn give intermittent false signals to the ECU.